Unfortunately, emissions from industry have received far less attention than those from electricity production, buildings, and transportation. 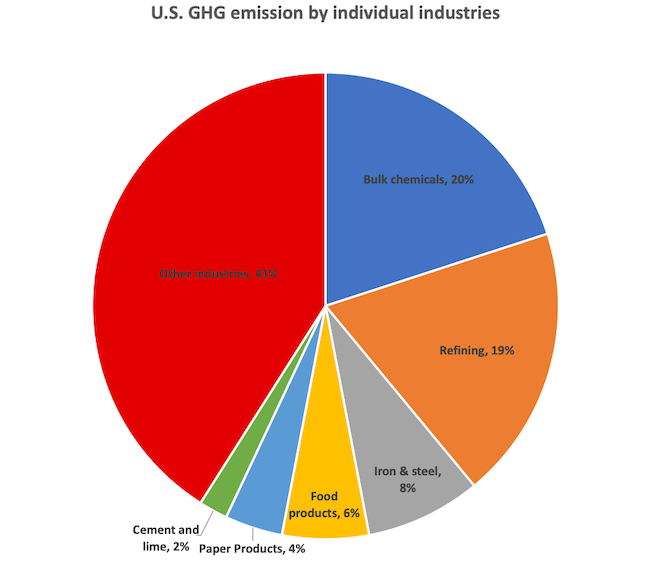 Industrial emissions, described by some as an amorphous “gray carbon wedge,” come from an economic sector that’s exceedingly complex. Understanding them is challenging, and solutions will be both complicated and multifaceted. I recently gained insights into these questions at a week-long Industrial Decarbonization Workshop, organized by the Aspen Global Change Institute (AGCI) and funded by the Hewlett Foundation. AGCI staff and the event co-chairs convened industrial energy experts from around the world to better define the challenges and propose solutions. Energy efficiency plays a critical role in reducing industrial emissions, as previous ACEEE research has indicated. These emissions are dominated globally by several carbon intensive industries: cement, iron and steel, fertilizers and chemicals. In the United States, cement is less important, because we don’t have the scope of infrastructure investments as do some developing economies, such as India and sub-Saharan Africa. However, focusing on just these large emitting industries will not reduce emissions enough to avoid the worst impacts of climate change. The entire industrial sector will need to reduce them. Industrial solutions fall into two broad categories: industry specific and cross-cutting. 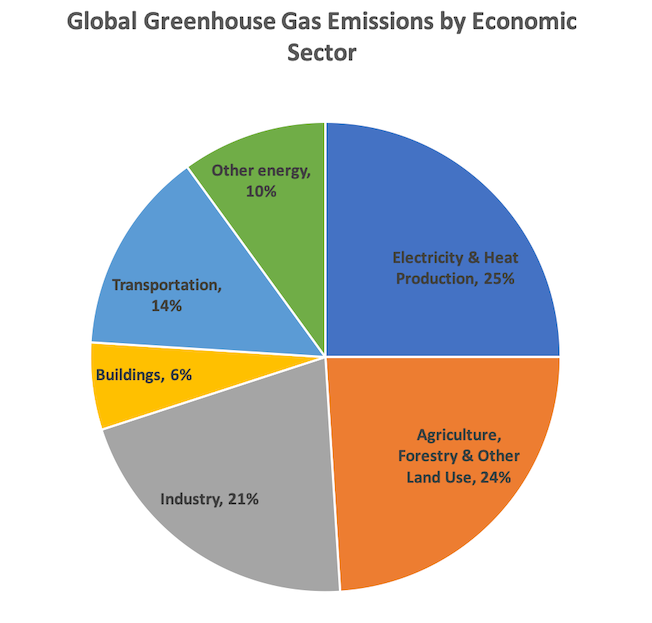 The former deal with direct greenhouse gas emissions from industry processes. To reduce them, options include process improvements, further exploration of carbon capture and storage, and a shift to less carbon intensive materials. Workshop presentations, which will soon be posted online, detail numerous options but many will need additional research and testing as well as major investments in new processes and policies to address the costs of abandoning older technologies. Reducing industrial emissions will require global cooperation on both research and implementation. Cross-cutting strategies include energy efficiency, electrification of some fossil fuel processes such as steam, and a shift to non-carbon fuels such as hydrogen and biomass. Some of these opportunities are available today but are underutilized, while others will require additional research to bring them to scale in the market. The workshop explored the possible drivers of decarbonization as well as the economic and social dislocations such as job losses that will likely result from a transition to a low-carbon industrial future. Participants discussed policies to address these challenges, such as carbon taxes that allocate revenue to help displaced workers, expanded research and development funding, voluntary corporate commitments for carbon reductions, and workforce development. Some of these policies are being considered for legislation in the coming 116th Congress. The workshop participants have agreed to prepare a journal article for publication, which can provide information for corporate leaders and policymakers. ACEEE will address industrial technology and policy issues in its research next year and at the 2019 Summer Study on Energy Efficiency in Industry next August in Portland, Oregon. I hope to see many of you there to continue this essential conversation.